Concerns have been expressed about the future of manufacturing in Wales after news of 400 job cuts in Cardiff. 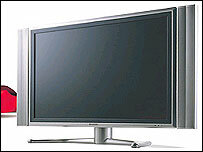 Nippon Electric Glass (UK) Limited is closing as demand for products - like glass for TV sets - has fallen. The union Amicus said Wales was losing thousands of manufacturing jobs because local companies were being beaten by the cheap cost of foreign labour. Martin Rhisiart from Cardiff Business School told BBC Wales firms had to specialise in order to be successful. Nippon makes glass used for traditional-style TV screens, and blames demand for more modern flat-screen sets for the closure of the Cardiff Bay plant. The factory will stop production at the end of November, following a slump in sales and profits due to a decline in the market for cathode ray tube televisions. In June, Sony announced 650 job losses at its Bridgend plants due to reduced demand for traditional-style TVs. Ira Walters, general manager of Nippon Electric Glass (NEG) said the plant would cease production by the end of November with the loss of all 400 jobs. In a statement released to staff on Friday morning, the company said lower sales and "a drastic reduction in our selling prices" had affected profitability. The statement said: "For much of 2005, we have operated at levels significantly below capacity. "The company wishes to emphasise that the decision has been made entirely for commercial reasons and in no way reflects upon the loyalty and commitment shown by the workforce during the past 10 years." The statement ended: "It is profoundly disappointing to have to make this announcement, but one which is unavoidable given market conditions." 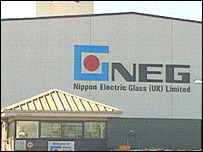 NEG added that it would begin discussions with trade unions and would attempt to find alternative employment for the workforce at the plant, which began glass manufacturing at the Cardiff Bay site in November 1995. Amicus union representative at the NEG factory, Chris Holmes, said: "We're losing manufacturing jobs, by the thousands literally, each month, and it seems that nothing is being done about it. I only wish something could be done about it. "We can't condemn the assembly - they've put in money to different places and projects - but it seems that we're being beaten by the cheap cost of labour abroad and in Eastern Europe." The firm is the latest company to blame a worldwide increase in demand for new flat-screen TVs over the traditional cathode ray tube models for job losses. In June, Sony shed 650 jobs at two plants in the Bridgend area because of falling sales of traditional-style TVs. The Japanese firm blamed competition from flat-screen televisions and said "demand for cathode ray tube-based televisions within the UK and Europe has fallen significantly". Kath Ringwald, from the Newport Business School, said no-one could have predicted when NEG was encouraged to establish a base in Cardiff that the technology it used would change so radically. She said: "When you think of technology, not just in televisions but in telephones, in the way we listen to music, all of these things have changed beyond our imagination. "The decision (to attract NEG) was right at that time but now we have to look at the next wave and we have to get on the next wave of technology and make sure we're riding that wave." Cardiff councillor Mark Stephens, the local authority's Executive Member for Economic Development and Finance, said the losses would have a "major negative impact on the local and regional economy". "The council intends to work with the Welsh Assembly Government and Job Centre Plus to ensure that retraining/skills opportunities are available for employees at NEG," he said. Where now for the Welsh economy?